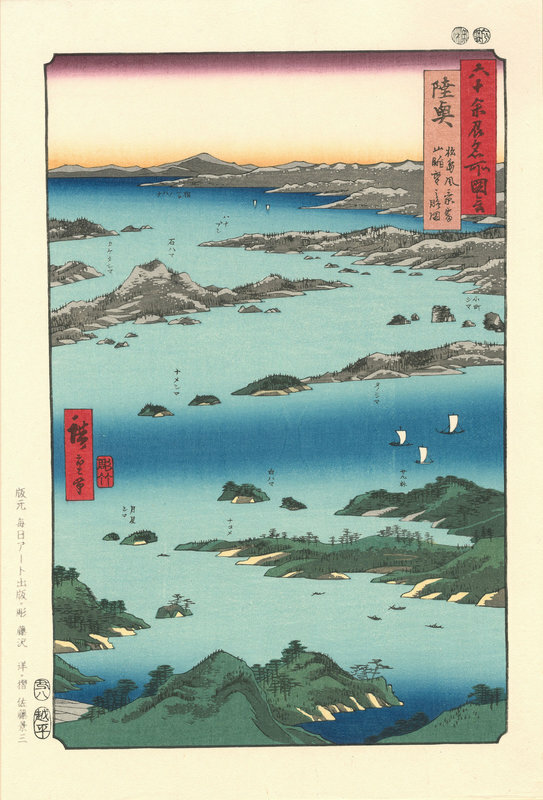 Hiroshige 1, Utagawa (1797-1858) "View of Matsushima with a Distant Prospect of Mt. Tomi in Michinoku Province" - Woodblock - Chinese and Japanese woodblock prints for sale, silkscreen, scrolls, watercolor, lithographs. Artwork Details for Hiroshige 1, Utagawa (1797-1858) "View of Matsushima with a Distant Prospect of Mt. Tomi in Michinoku Province"